When the biggest sector in the S&P500 representing 25% of the entire index makes an all-time daily, weekly and monthly closing high, it’s probably worth paying attention. I also hear the lazy people talk about how Technology is being led by just a few names. 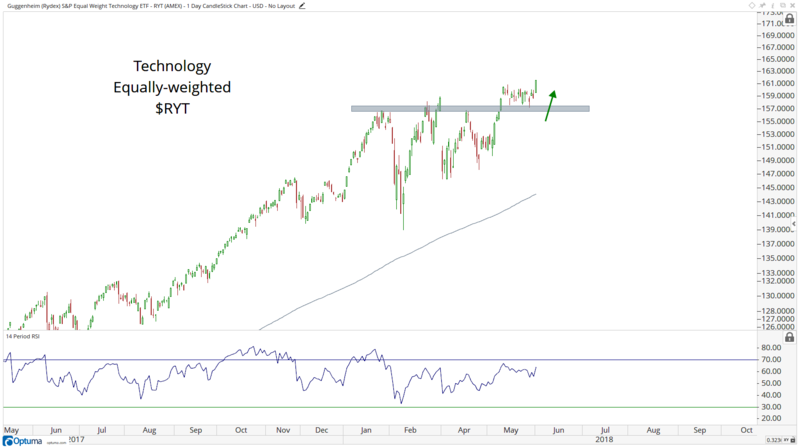 This is simply not true as the Technology Equal-weight index is also breaking out to new highs. 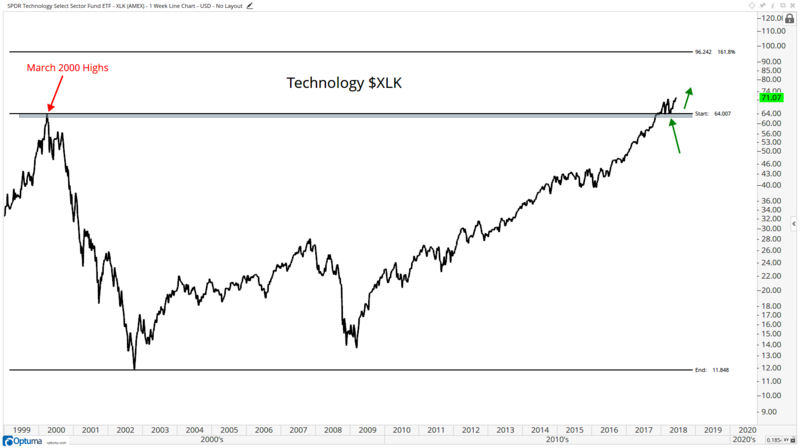 We’re seeing a broad based rally in Tech, and it’s not something new. 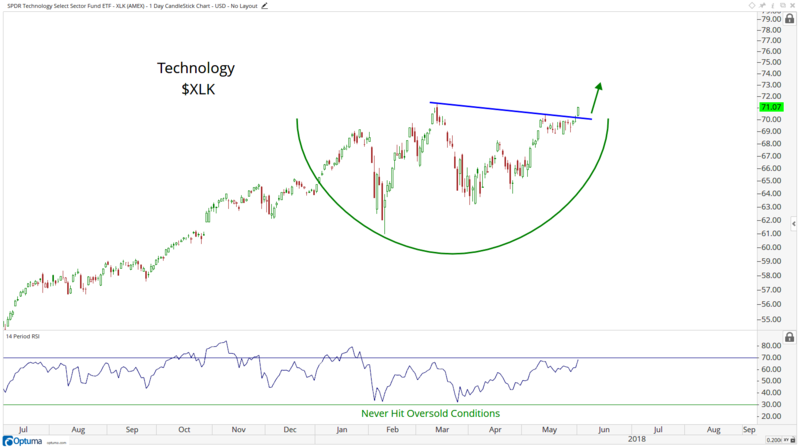 From a shorter-term, tactical perspective, I think a long in $XLK if we’re above 70 makes sense. Below that and things get messy. For access to JC’s technical analysis and list of Trade Ideas, you must be a premium member of All Star Charts. Please login below or start your risk-free 30 day trial today.